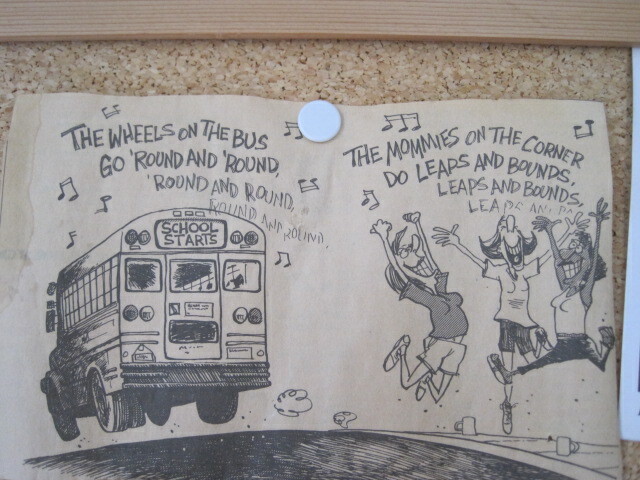 With the new school year about to begin in the US and UK, my eye drifts to this cartoon that I tacked on my bulletin board ten years ago after a two-and-a-half-month-long summer “vacation” which was all kids, all the time. Like almost all parents, I adore my kids, but I also need them in school so I can do my work–something which, as a writer, is the first casualty when the kids are around. I will miss them and all of our summer rituals and pleasures, but it’s wonderful to return to my second love–writing. And, after all, they’ll be home by 3.